Charles was one of 2 siblings born to Joseph Evans Rawe and Ellen, nee Evans. It must be assumed that the other sibling died young, because there is no record. Joseph was born in Southampton in 1859, Ellen in Corfe in 1842. They married in Southampton in 1880. For whatever reason the family don’t appear to have had their own home in Southampton. The family is living with Ellen’s parents at 5 Fanshawe Street at the 1891 census and, by the 1901 version, it is just Ellen and Charles living with them. There is no record of Joseph’s death and Ellen is living alone in Streatham at the 1911 census and aged 69 years. Charles is a Solicitor’s Clerk at the time he marries May Walter in Southampton in 1909. She was born in Kilburn in 1884 and died in Sutton in 1966. After marrying the couple are shown as living at 10 Wilton Avenue, but had moved to 31 Arragon Gardens, Streatham at the 1911 census. The 309th (H.A.C) Siege Battery of the Royal Garrison Artillery was made up entirely of volunteers. It was attached to the 88th Heavy Artillery Group that landed in Le Havre on 27 April 1917. The 309th had a full complement of 137 officers and men. The Group was sent to Ypres straight away and fought in various actions, before transferring to an area near Amiens in France. They spent the rest of the war here, accumulating many casualties in that period. 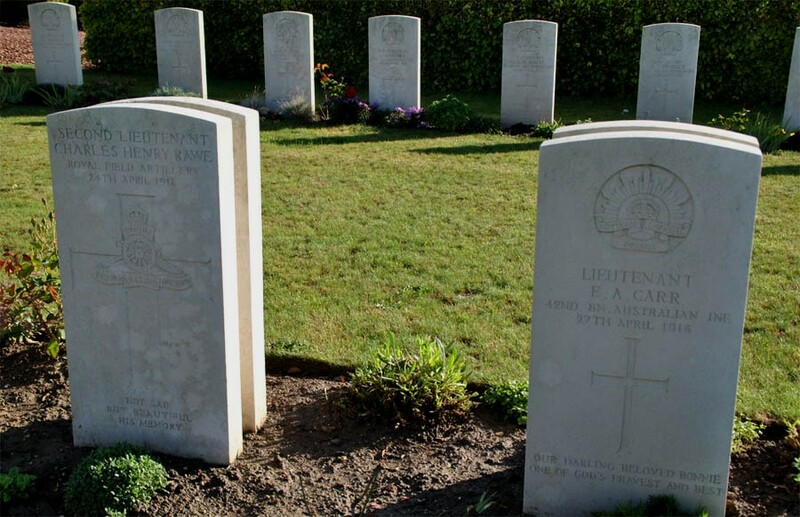 Charles died during one of the many skirmishes near Amiens.